The material is tungsten Carbide Micro Grade. Can easily and quickly perforate hard materials up to 5mm thickness. The effective length is 22mm deep. 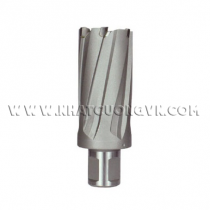 With its extremely sharp Tungsten Carbide Tipped cutting edges can be run at higher feed rates and speeds to create holes of exceptional quality and accuracy. The slug is spring ejected when cutting is finished. 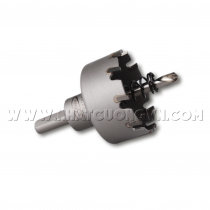 3Keego Hole Cutter - PL Type – Japan (Japan) With its extremely sharp Tungsten Carbide Tipped cutting edges can be run at higher feed rates and speeds to create holes of exceptional quality and accuracy. NHAT CUONG TRADING & SERVICES COMPANY LIMITED.